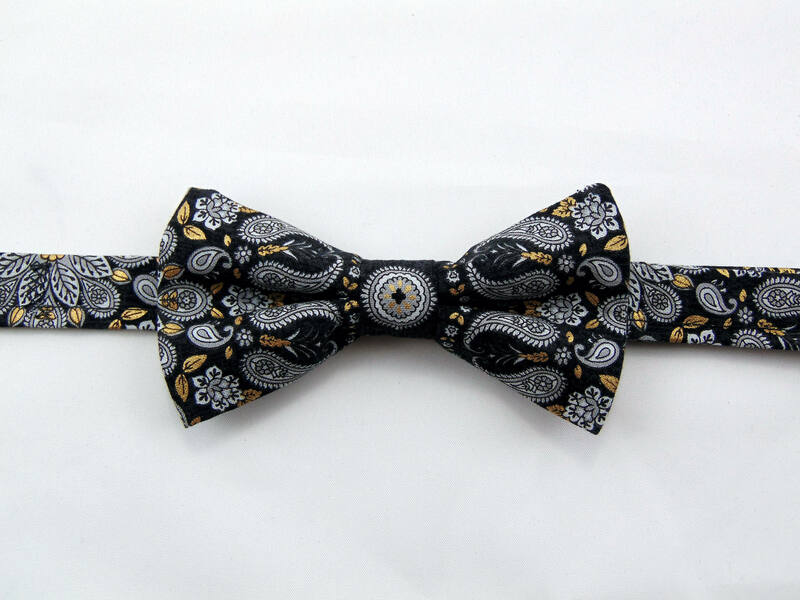 Mens Bow Tie – Unique Mens or Boys Black Paisley Pretied Bow Tie. 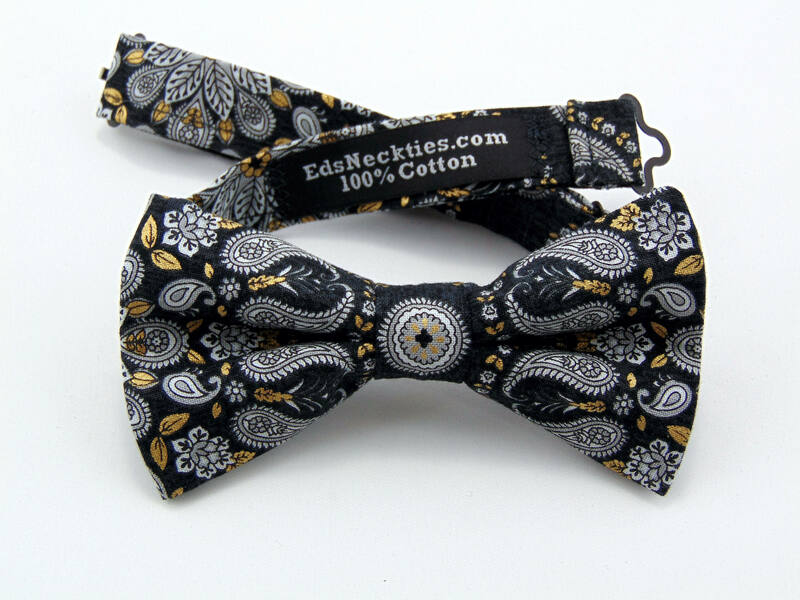 This is a favorite very unique paisley men's or boy's pretied bow tie. Features black background, grays and golds. Expertly hand-made from 100% cotton Bow Measures Approximately 4”x 2.25”. You can select your length from (Boy’s 11” – 16”), (Men’s 14” – 18”), (Extra long 16” – 22”). Custom sizes available upon request. Ships within 2 business days. Made in the USA.